Water Heaters | Comfort First Heating and Cooling, Inc.
Help! My Water Heater Isn’t Providing Enough Hot Water! 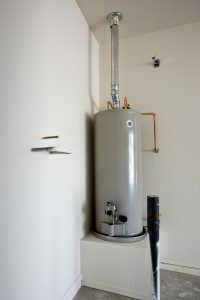 Water heater trouble can manifest itself in a number of different ways, depending on the problem. One of the most common symptoms, though, is difficulty providing enough hot water. Heating difficulties could result from a number of different problems, some of which are relatively minor and some of which need immediate repair. Let’s go over some of those issues below, and what can be done about them. Posted in Water Heaters | Comments Off on Help! My Water Heater Isn’t Providing Enough Hot Water!